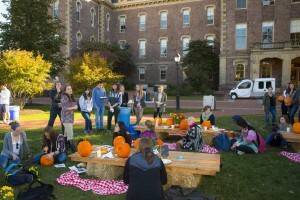 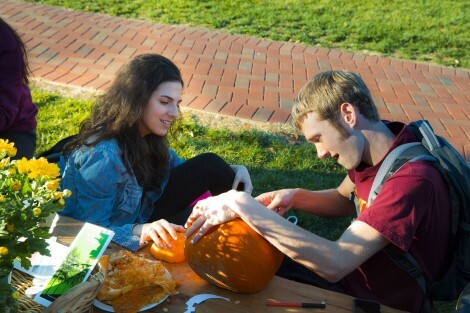 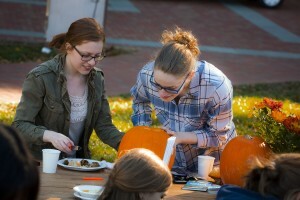 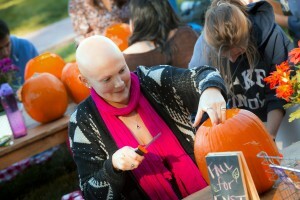 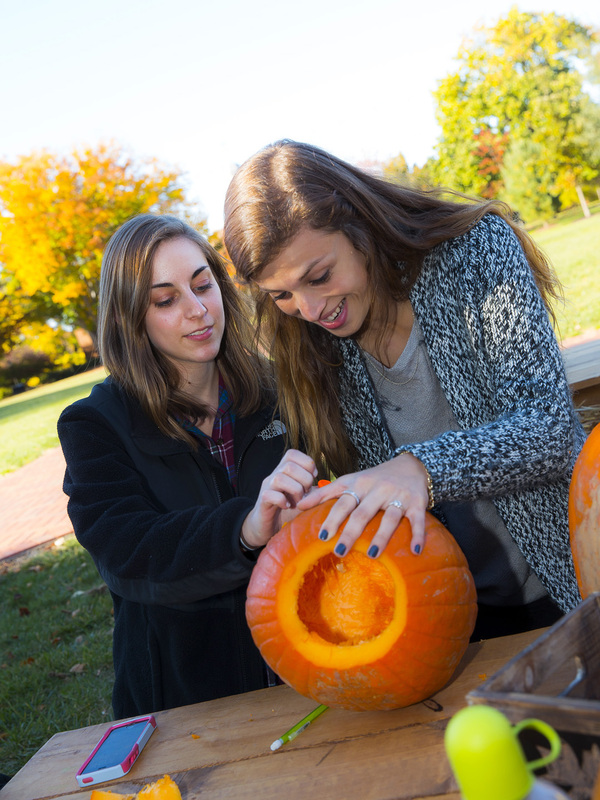 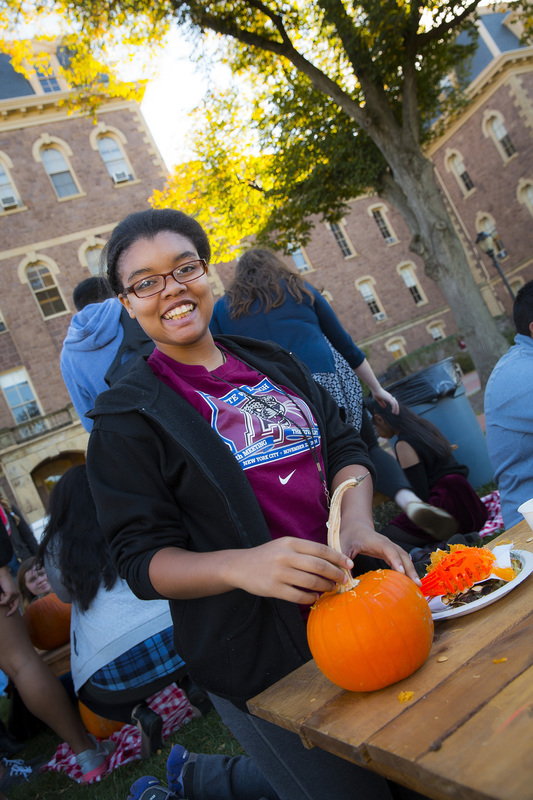 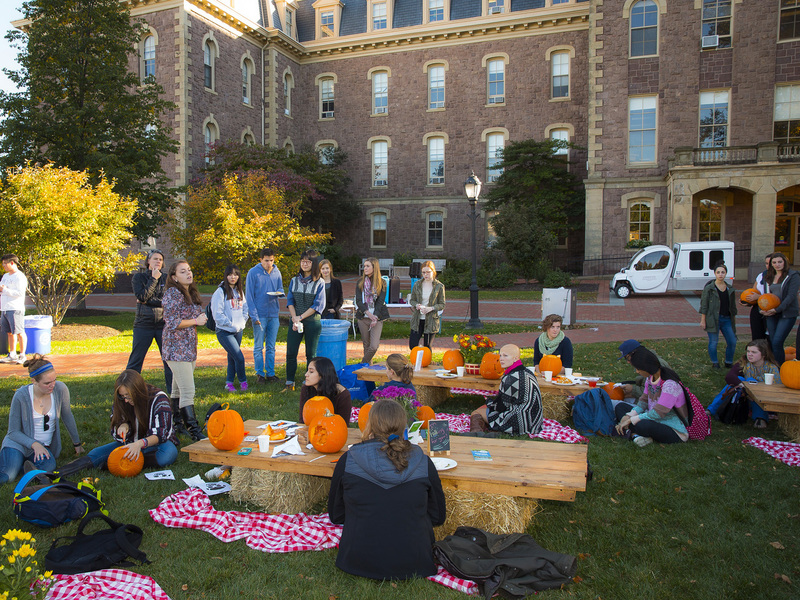 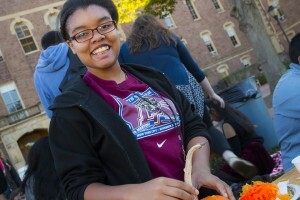 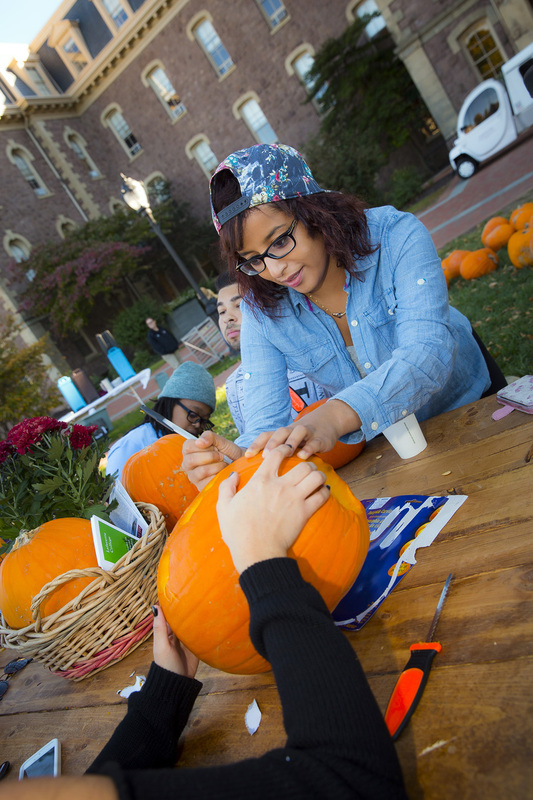 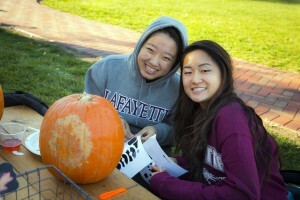 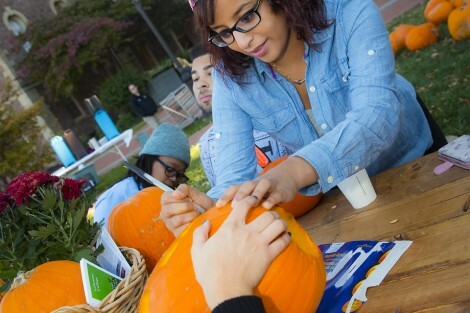 Students had some fall fun carving pumpkins on the Quad. The picnic was hosted by the Environmental Science and Studies programs and featured produce grown at LaFarm. Jacqueline Cirincione ’16 and Leslie Tintle ’16 layout their design. 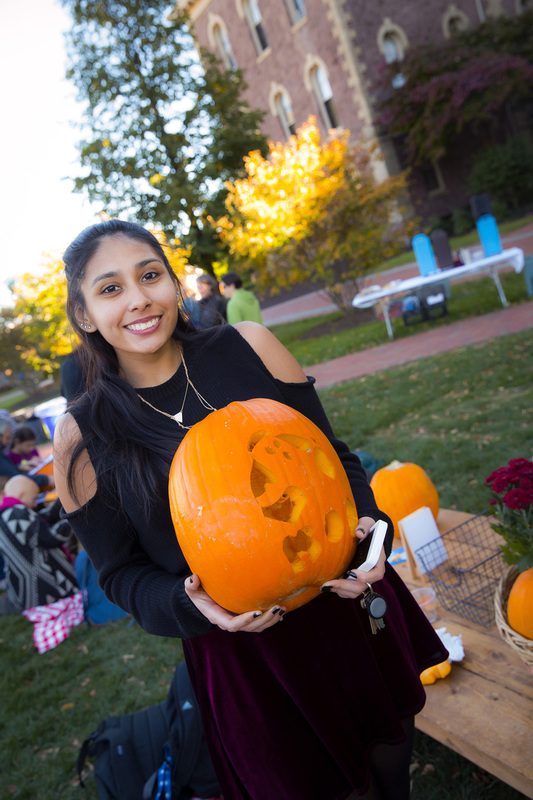 Nada Fadl '18 marks up her pumpkin. 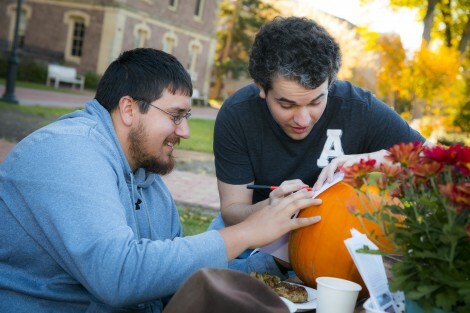 Brandon McKim '16 and Christian Enos '15 use a stencil. 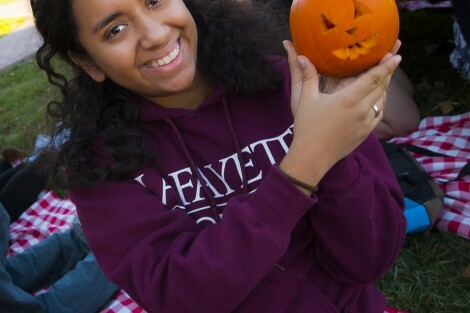 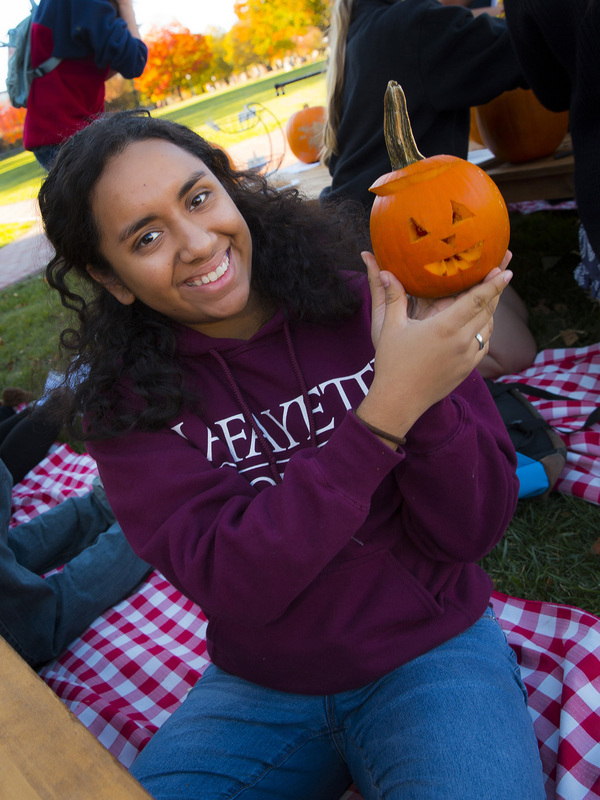 Patrice Gonzalez ’19 presents her tiny pumpkin. Karyn Wood ’19 finishes cleaning the insides out of her pumpkin. Blossom Jiang ’19 and Kelsea Chang ’19 pick out their design. 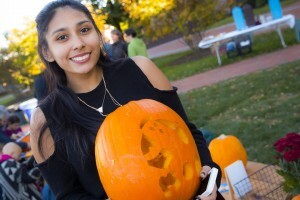 Luz Pineda ’18 shows off her work. 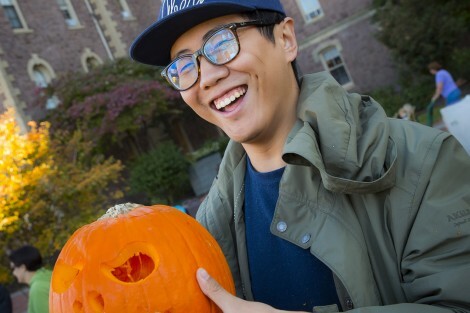 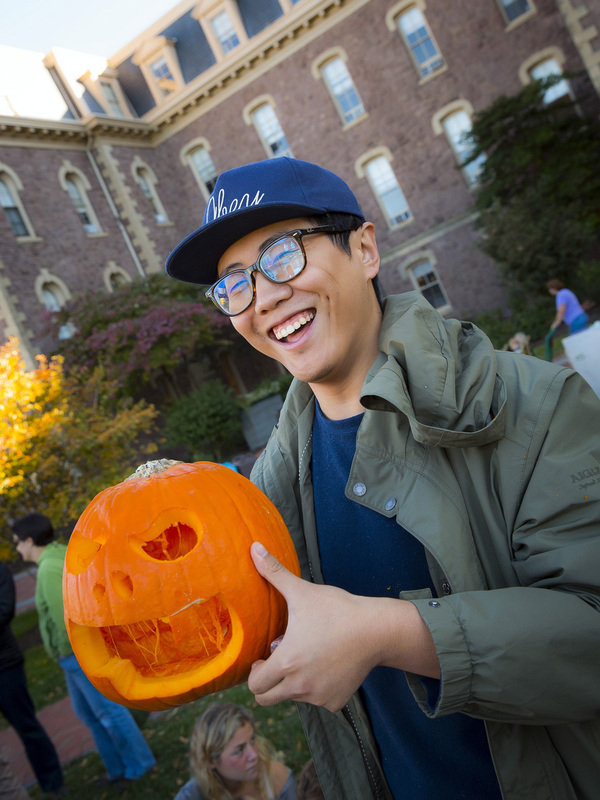 Leo Zhu ’17 has some fun with his pumpkin. 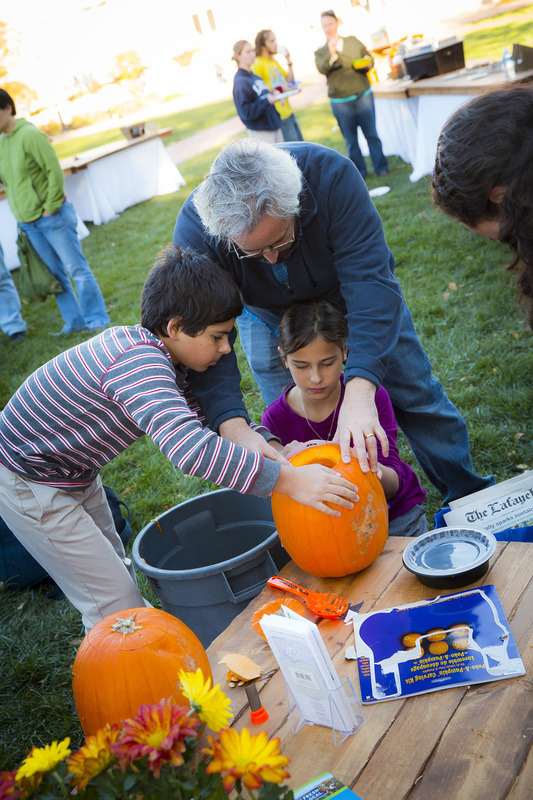 Professor Benjamin Cohen helps his kids Harper and Alexandra. 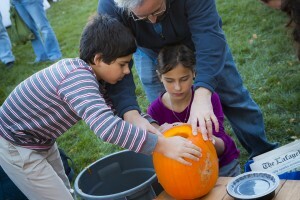 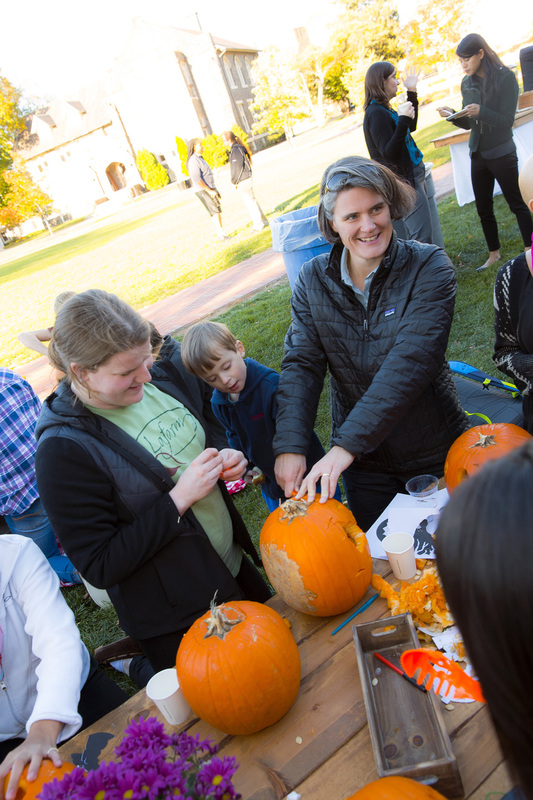 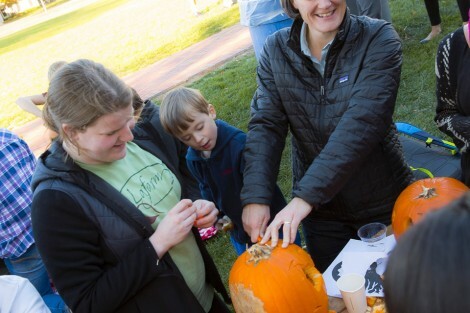 Haley Mauriello ’18 and Professor Kira Lawrence clean out a pumpkin with Lawrence’s son Kai. 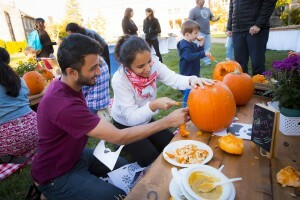 Taha Rohan ’19 and Fatima Haidari '19 work on a pumpkin together. Agata Kelman ’19 and John Blanchard ’19 share a pumpkin. Andrea Mitchell ’18 and Emma Glubiak ’18 take care of some little details. 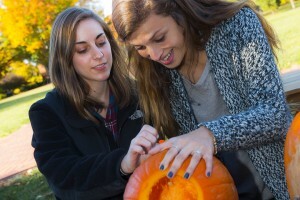 Caroline Ladlow ’16 makes her jack-o-lantern.